Previously known as O’Leary Analytics, founder Stephen O Leary, Irelands leading expert in social media analysis and monitoring, approached us to turn his individual expertise into a strong brand. 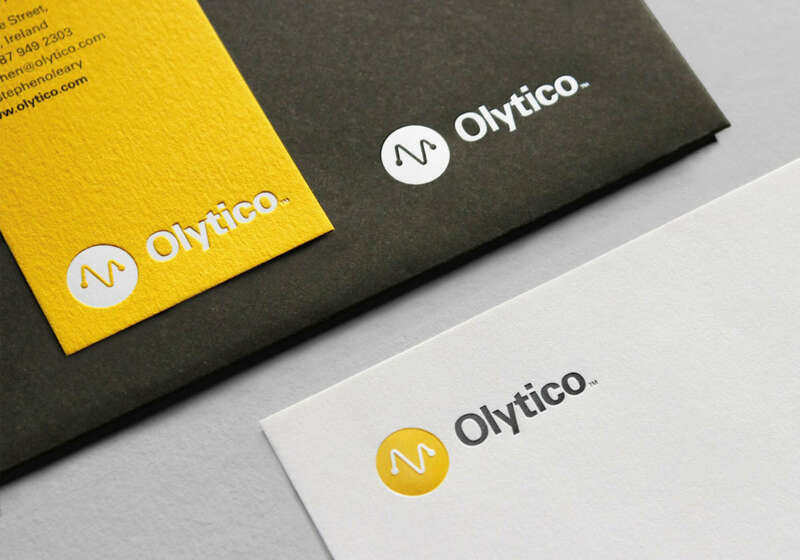 Looking to hold on to some of the equity Stephen had built up but nonetheless move the business away from being all about one individual, we created the brand name Olytico and set about designing all the brand collateral for the company. Working with a strong colour palette of black, grey and yellow, we used beautiful paper stocks and print techniques such as white foiling to create a contemporary and memorable brand image.